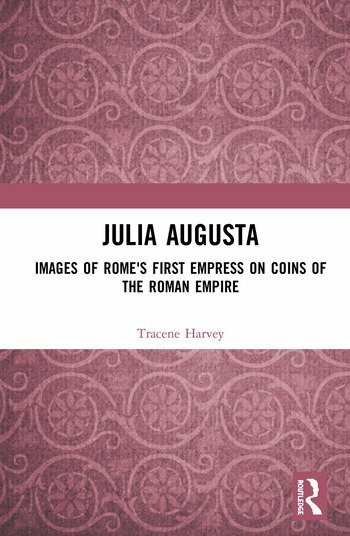 Julia Augusta examines the socio-political impact of coin images of Augustus’ wife, Livia, within the broader context of her image in other visual media and reveals the detailed visual language that was developed for the promotion of Livia as the predominant female in the Roman imperial family. The book provides the most comprehensive examination of all extant coins of Livia to date, and provides one of the first studies on　the images on Roman coins as gender-infused designs, which created a visual dialogue regarding Livia’s power and gender-roles in relation to those of male members of the imperial family. While the appearance of Roman women on coins was not entirely revolutionary, having roughly coincided with the introduction of images of powerful Roman statesmen to coins in the late 40s BC, the degree to which Livia came to be commemorated on coins in the provinces and in Rome was unprecedented. This volume provides unique insights into the impact of these representations of Livia, both on coins and in other visual media. Julia Augusta: Images of Rome’s First Empress on the Coins of the Roman Empire will be of great interest to students of women and imperial imagery in the Roman Empire, as well as the importance of visual representation and Roman imperial ideology. Tracene Harvey currently serves as Director and Curator of the Museum of Antiquities at the University of Saskatchewan, Canada. She also serves as a lecturer in the Classical, Medieval and Renaissance Studies program at the University, where she incorporates numismatics into much of her teaching, including an interdisciplinary course on the use of synchrotron-based scientific analyses in the study of ancient artifacts. She took part in the American Numismatic Society’s Summer Graduate Student Seminar in 2004. Her research covers primarily ancient Greek and Roman coins, with emphasis on the study of Roman empresses on coins of the early Roman Empire. She also has pursued the study of the coins of ancient Thessaly as part of the research team of the archaeological project at the Kastro of Kallithea in Thessaly, Greece since 2006.